If you’re starting off your new year with big plans for big things for your company, then you’ve probably (or hopefully) already started planning your moves for 2019. But what about your digital marketing? Do you have a plan laid out? A strategy? Or does that simply seem too impossible to tackle? Maybe next year? Maybe never? Instead, we want to show you how powerful having a strong marketing strategy can be for your business. And you don’t have to start huge either. In fact, we’ve outlined below a few super simple and easy-to-adapt steps that you and your business or team can take to hone your digital marketing strategy in the new year. What is the point of your digital marketing plan? Are you looking to increase brand awareness, traffic, and rankings? Do you want more emails opened, more links clicked, or simply more sales? These questions are extremely important because, without answers, you really are floundering. JSL Marketing wants you to be swimming the butterfly, not doggy-paddling towards your goals. So, make sure you create SMART goals (Specific, Measurable, Attainable, Relevant, and Time-based). Let’s take a quick look at each letter to make sure you start off your digital marketing plan and new year on the right foot, shall we? Specific: Saying ‘be better’ is neither specific nor smart. So, make sure you choose a goal which is specific enough to be understood. After all, a goal isn’t really a goal if it’s undefined. Measurable: Choose a goal you can measure, so you can know how close you are to reaching it. This goes hand in hand with specific goals, as something you cannot define or measure, ultimately, cannot be reached. Attainable: Since we are talking about goals we can reach, let’s discuss reality and what is attainable. Essentially, this part of SMART just means it is realistic, but SMRRT didn’t sound as catchy. Relevant: Making goals has to do with where you want your business to end up, or the direction you want it to move. Keep this in mind as you make a goal. For example, if you want to gain more website traffic, a goal about additional phone calls during peak hours isn’t very helpful. Time-Based: The last part of SMART is invaluable. You have to set a time limit for your goal. I’ll say it again for the people in the back – you have to set a time limit for your goal. 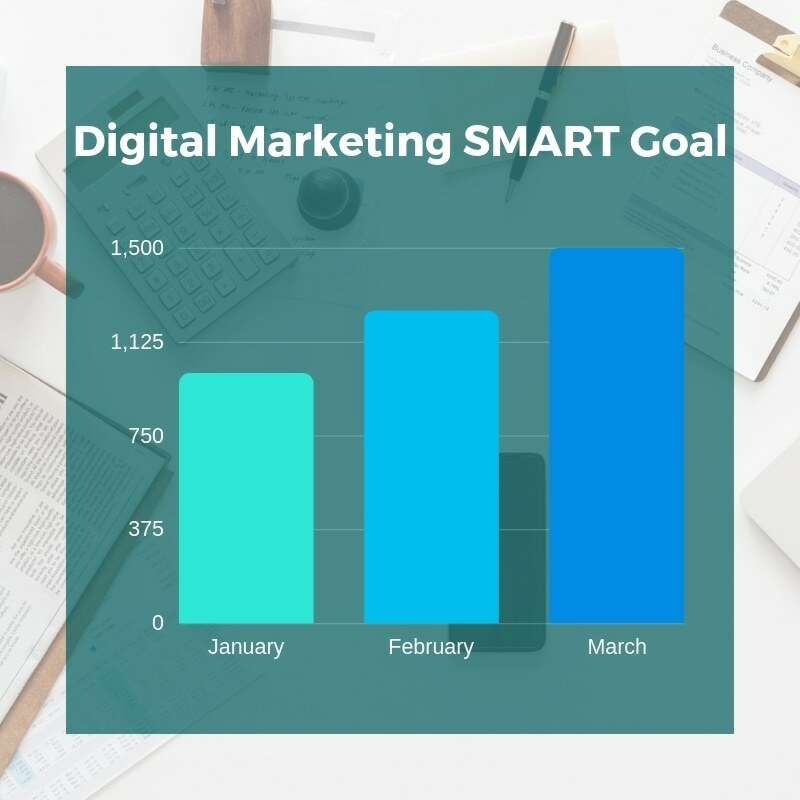 Creating a SMART goal is a great way to narrow down what you want your digital marketing plan to do for you, and therefore, gives you the direction you should be working towards. This goal is specific – giving the exact numbers wanted. It is measurable – again with exact numbers, current and desired. It is attainable – we aren’t looking to go from 1,000 to 100,000. It is relevant – after all, 95% of our business comes through our website. And it is time-based – specifying only 3 months to reach the goal. One would think this would go without saying, however, all too commonly businesses ignore what they have learned in the past about marketing, trends, and their customers. If you do not learn from history, you are bound to repeat it. And if you do not learn from your mistakes, then 2019 will be the exact same as 2018. But we are striving for growth, for improvement, and that means you have to use all the tools in your toolbelt. Look at what your worst months were last year and ask yourself why? Research new ideas and techniques that are up and coming and try new things this year. Business, and especially digital marketing, is a never-ending journey and learning curve. Don’t fight it. Besides, perfection is for the gods – improvement is for us humans. After making a goal and doing the necessary research and history lessons, you have to know who and what you need to make your digital marketing a success. Think of which tools you will need for measurement, analytics, and progress. What avenues will you use? What modes or platforms? After you have looked into relevant tools for your goal, you need to look at gaps you may have in your team or their strengths. Will you need new materials written? Do you have a content writer? Do you have a team member who can create email templates or cohesive marketing materials? If some of those answers were ‘no’, then you might need to hire in-house or outside of your business to find people and strengths to fill the gaps in your strategy or skillsets. And there is no shame in this, because while your digital marketing campaign is running, you and your team still need to be running the business too. Sometimes hiring outside of your employees can be a great way to save some time. This is one of the most important things to remember in digital marketing planning and implementation – be flexible. You need a plan, you need a strategy, and it doesn’t hurt to have it be organized and specific. But if that plan gets a little knocked around and changed during the year – do not worry! This is normal, this is natural. 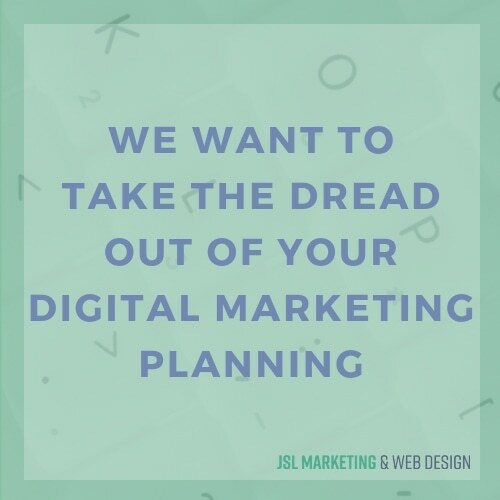 And frankly, with all the of constant updates and changes in digital marketing, staying the same or sticking to your plan rigidly for the whole 12 months might actually hurt more than help. 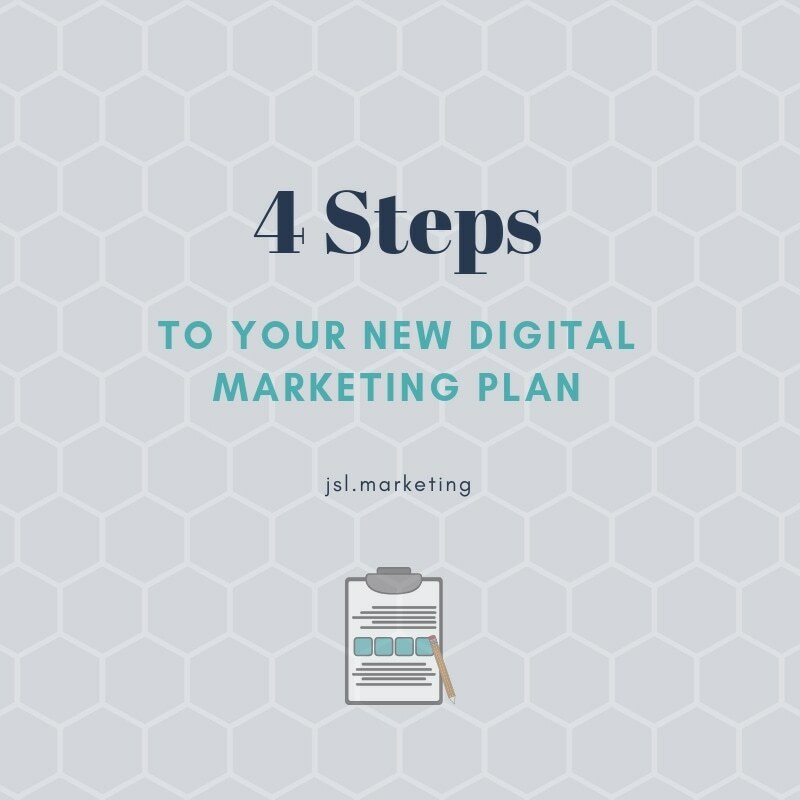 Do You Need Help with Your New Digital Marketing Plan? In fact, digital marketing is kind of one of our largest specialties. 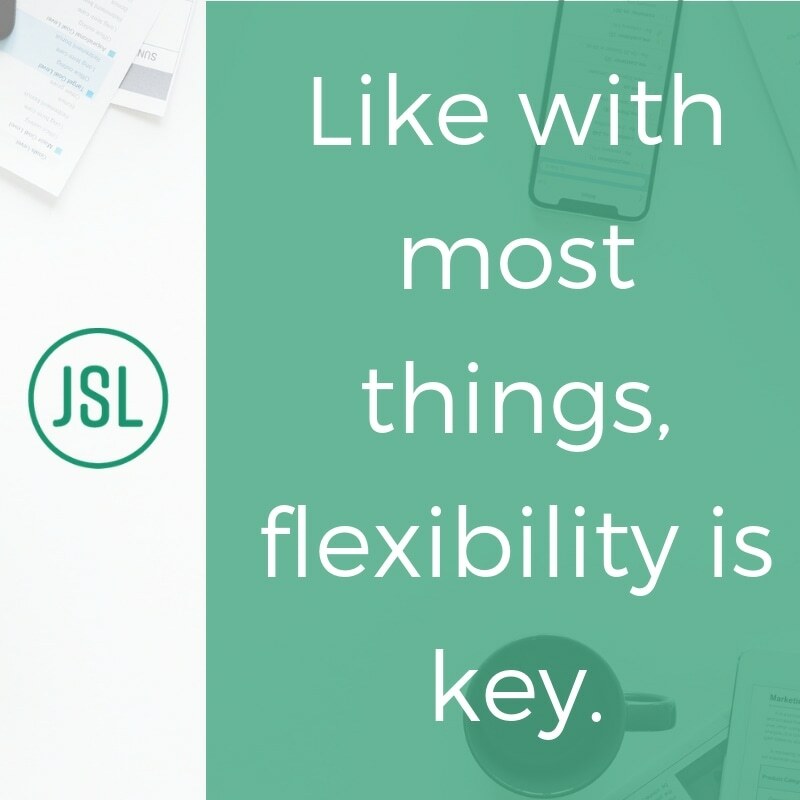 JSL Marketing wants your new year to be even more successful than last year, and we are going to do that by planning the year out, understanding your goals and unique ‘why’, and remaining flexible and able to adapt. We can’t wait to partner with you. Call us today or fill out a contact form!